Pulmonary artery (PA) aneurysm is a rare condition, frequently associated with pulmonary hypertension. However, the evolution and treatment of this pathology is still not clear. We report a case of a 45-year-old female patient with giant PA aneurysm associated with rheumatic mitral stenosis and severe pulmonary arterial hypertension. The patient had undergone balloon mitral valvotomy around 7 years back; aneurysm was first identified 3 years back during routine follow-up. The PA aneurysm size, however, had remained almost unchanged with associated severe pulmonary regurgitation. Surgical correction was advised but denied by the patient. To our knowledge, this is the first case report of such a large PA aneurysm in association with rheumatic heart disease. Although medical therapy for pulmonary hypertension was started, surgical correction of the aneurysm was advised in order to prevent the future complications. Since the introduction of antibiotics, non-infective causes of PA aneurysms have become more common. With the technological advances in medicine, PA aneurysms have been diagnosed in living patients by 2D-echocardiography, computed tomography, and magnetic resonance imaging. The pathophysiology of the PA aneurysm is related to vessel wall stress that leads to progressive dilatation of the vessel or even rupture. Thus, once formed, an aneurysm tends to gradually enlarge. Aneurysm dissection is a potentially fatal complication in about one third of the patients,  but other serious complications of large PA aneurysms can also occur, namely, airway compression and thrombus formation. Nonetheless, due to the low prevalence of PA aneurysms the optimal management is still unclear. A 45-year-old woman, known case of rheumatic mitral stenosis had undergone balloon mitral valvotomy in 2007. She presented with a 6-month history of dyspnea on exertion (New York Heart Association Class II, NYHA II) without dizziness, syncope, or chest pain. Her prior medical evaluation revealed in addition, pulmonary arterial hypertension (PAH) and a PA aneurysm. 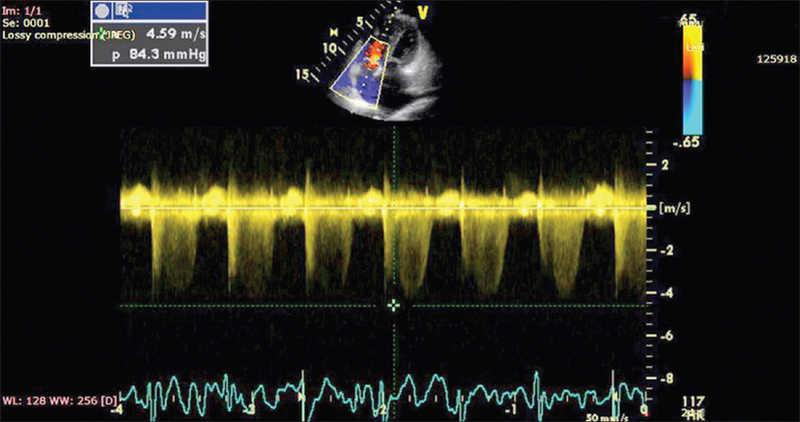 On examination the patient was found to have a palpable systolic impulse at the second left intercostal space, a grade 3/6 systolic murmur and a 2/6 diastolic murmur at the lower and upper left sternal border, respectively. 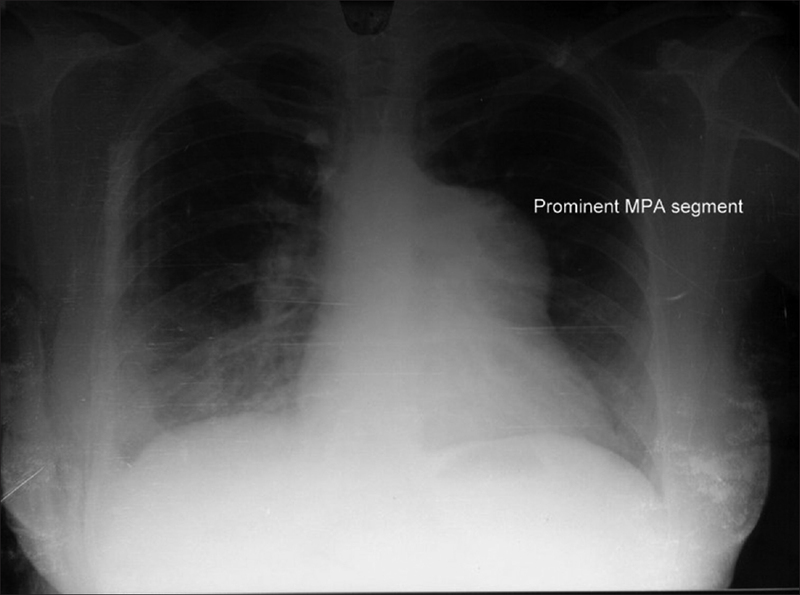 Chest radiography showed cardiomegaly and dilation of the main PA and its branches [Figure 1]. 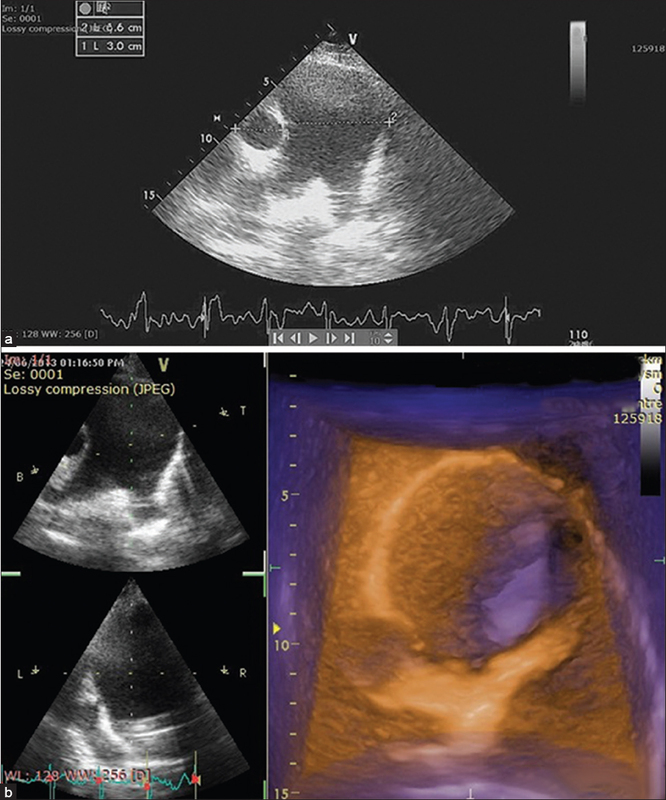 A transthoracic echocardiography demonstrated severe mitral stenosis, dilated right and left atria [Video 1], moderate tricuspid regurgitation with PAH (PA systolic pressure, 84 mmHg; [Figure 2]), an aneurysmally dilated main PA (66 mm) and right (25 mm) and left (24 mm) PA branches [Figure 3]a and b, Video 2], and severe pulmonary regurgitation [Figure 4]. For evaluation of pulmonary vasculature, the patient underwent a computed tomographic angiography showing an aneurysm affecting the main PA [Figure 5]. In our patient, the PA aneurysm was associated with PH, this being the most prevalent association, described in 66% of the cases. Dyspnea as a symptom is difficult to ascribe to pulmonary aneurysm as it can occur in both PAH and PA aneurysm. Other symptoms that may be present in patients with PA aneurysms are hemoptysis, cyanosis, clubbing, chest pain, and cough. However, none of these were present in our patient. Intensive medical treatment has been one possible approach for PA aneurysms with clinical improvement of signs and symptoms ,,, and so treatment for PAH was started. Although other authors have reported PA aneurysms, as per our knowledge this is the largest described in a patient with rheumatic heart disease. 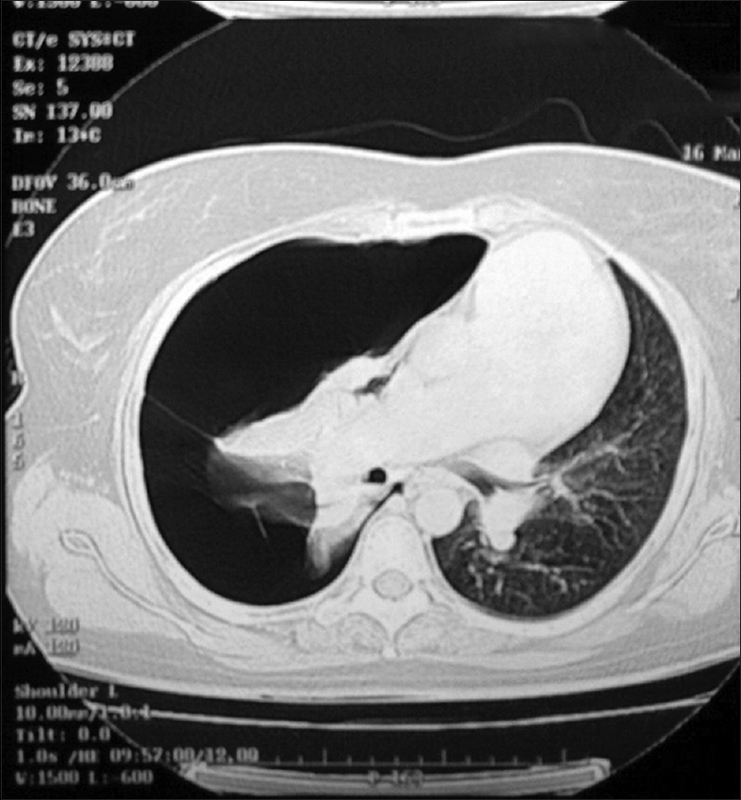 Moreover, it would be challenging to ascertain whether pulmonary regurgitation was the cause of pulmonary dilation or on the contrary, if it was a consequence of the progressive dilation of the pulmonary trunk; severe pulmonary regurgitation with volume overload might play a role on the persistence of the pulmonary aneurysm. The case report presented illustrates a case of PA aneurysm diagnosed in a living patient with PAH. Although this association is rather frequent, this is probably the first case described associated with rheumatic heart disease. Despite medical therapy for PH being commenced no size reduction was observed on PA aneurysm. In around 50% of the postmortem cases, pulmonary aneurysms were associated with congenital heart disease, most frequently patent ductus arteriosus. In the remaining reported cases, such aneurysms were associated mainly with secondary acquired lesions, such as syphilis and cystic medial degeneration. The natural history of an untreated idiopathic PA aneurysm has not been well elucidated. It is unclear whether there is a size hinge point similar to aortic aneurysms in which the risk of complication increases. 1. Barbour DJ, Roberts WC. Aneurysm of the pulmonary trunk unassociated with intracardiac or great vessel left-to-right shunting. Am J Cardiol 1987;59:192-4. 2. Johnston KW, Rutherford RB, Tilson MD, Shah DM, Hollier L, Stanley JC. Suggested standards for reporting on arterial aneurysms. Subcommittee on Reporting Standards for Arterial Aneurysms, Ad Hoc Committee on Reporting Standards, Society for Vascular Surgery and North American Chapter, International Society for Cardiovascular Surgery. J Vasc Surg 1991;13:452-8. 3. Sakuma M, Demachi J, Suzuki J, Nawata J, Takahashi T, Shirato K. Proximal pulmonary artery aneurysms in patients with pulmonary artery hypertension: Complicated cases. Intern Med 2007;46:1789-93. 4. Bartter T, Irwin R, Nash G. Aneurysms of the pulmonary arteries. Chest 1988;94:1065-75. 5. Nguyen ET, Silva CI, Seely JM, Chong S, Lee KS, Müller NL. Pulmonary artery aneurysms and pseudoaneurysms in adults: Findings at CT and radiography. AJR Am J Roentgenol 2007;188:W126-34. 6. Butto F, Lucas RV Jr, Edwards JE. Pulmonary arterial aneurysm. A pathologic study of five cases. Chest 1987;91:237-41. 7. Task Force for Diagnosis and Treatment of Pulmonary Hypertension of European Society of Cardiology (ESC), European Respiratory Society (ERS), International Society of Heart and Lung Transplantation (ISHLT), Galié N, Hoeper MM, Humbert M, et al. Guidelines for the diagnosis and treatment of pulmonary hypertension. Eur Respir J 2009;34:1219-63. 8. Hernández V, Ruiz-Cano MJ, Escribano P, Sánchez MA. Complications of proximal pulmonary artery aneurysms in patients with severe pulmonary arterial hypertension. 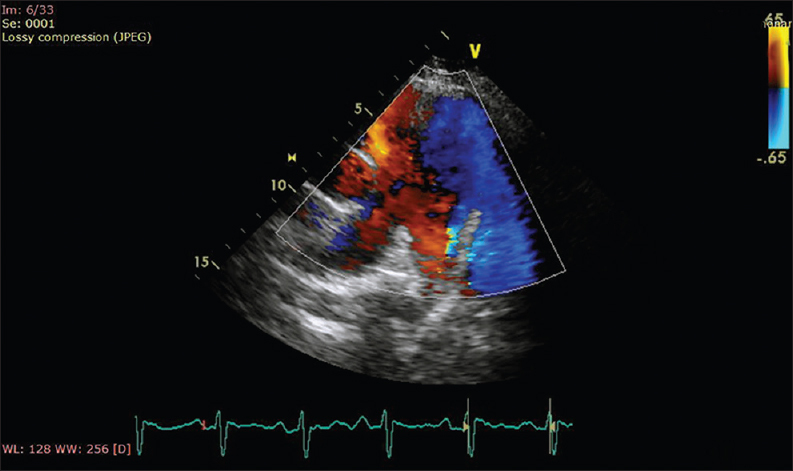 Rev Esp Cardiol 2010;63:612-20. 9. Shankarappa RK, Moorthy N, Chandrasekaran D, Nanjappa MC. Giant pulmonary artery aneurysm secondary to primary pulmonary hypertension. Tex Heart Inst J 2010;37:244-5.